Woodsmoke BBQ & Windowsills Pies » WOODSMOKE Sends Its 1st Tweet! 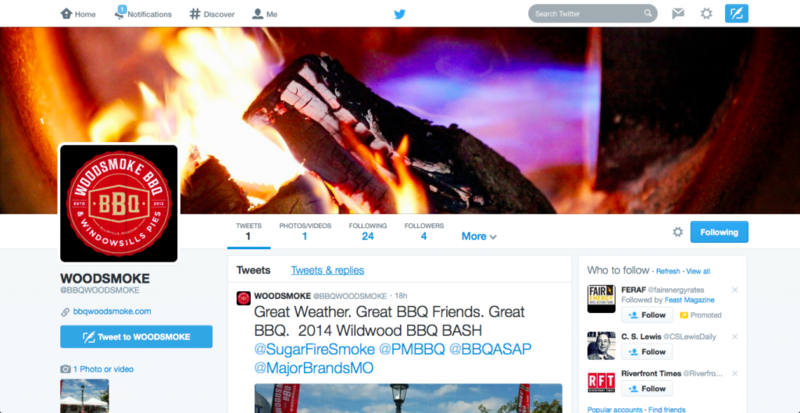 WOODSMOKE Sends Its 1st Tweet! WOODSMOKE BBQ & Windowsills Pies is officially on Twitter! We’re so excited to connect even more with our customers, BBQ fans and the community – so, follow us, tweet us and retweet us. We’re serious about our BBQ. Now, we get to talk about it too.